Surprises are not my thing – my husband will vouch for that. He normally sticks to selecting Christmas and birthday presents from a string of handy suggestions I give him, usually a long list of book titles. That way we avoid surprises and I get a stack of new books to read. Perfect. As I say, that’s what he normally does but this year he bravely decided to go off-list. a kindle. And yes, I was surprised. I’ve occasionally attempted to read novels I’ve downloaded to my phone and not enjoyed them very much at all. I’ll concede, though, that reading on my phone has been fine for train journeys, when I’d rather not weigh down my bag with a novel. There’s also the added bonus of leaving space in my handbag for the new novel I inevitably buy while I’m out. But reading electronically is nothing like that cosy, multi-sensory experience you get from actually holding a book in your hands and turning the pages. And I know I’m not the only person who adores the smell of a new book. I think I might have mentioned these points just once or twice (if not a hundred times) to the aforementioned husband. And still, here it was, a kindle. It took me a while to even get it out of the box – after all, I’d been given real, actual books by my children for Christmas who’d sensibly stuck to the tried and tested formula. They both gasped when I unwrapped the interloper, unsure whether Dad had pulled off something extremely daring or had just got it oh so very wrong. Well, it took us all a little while to find out. After I’d devoured those brand new gorgeous novels, I turned to the kindle and got quite a surprise – of the pleasant kind. It was simple to use and extremely light, the text was large and I could read it while filing my nails or eating my breakfast (two activities that have always caused, in my opinion, wasted reading time). I began by downloading a few titles I’d heard good things about on book blogs but hadn’t got around to buying. Some were even on 99p offer, which made me feel rather guilty – all the work that’s gone into a book is worth so, so much more than a mere 99p. But I soon remembered that my own book is sometimes on that special offer too, and I get quite excited if it creates a spike in sales. So conscience eased slightly, I downloaded away and began sampling authors I’d never tried before. It was addictive. I found I was even reading as I stirred the pasta sauce for dinner. I was whizzing through titles. As a bonus, I could now also use my kindle to read the novels I’d had unread on my phone for so long, and at last I was enjoying those too. I’ll admit I’m a convert. What could have been a nasty surprise turned out to be anything but and I’ve probably read twice as many books as I would normally have since Christmas. I still love real pick-me-up-and-read-me books best of all and I can’t see that changing any time soon, but I certainly won’t be returning my kindle. And extra brownie points to Simon for successfully going off-list! 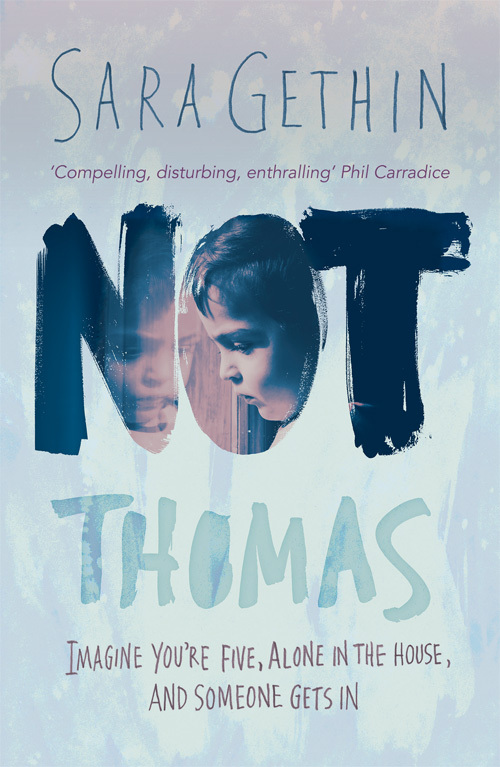 Sara’s debut novel ‘Not Thomas’ – a story of child neglect, love and hope, shown through the eyes of five-year-old Tomos – is published by Honno Press in paperback and on kindle, and is available to buy direct from the publisher, from Amazon and from bookshops. Recommended Reads of 2017 – Thank You Anne Williams! A Galentine’s song – only a day late! Well you never know till you try! I got a Kobo when I published my second book, I figured it wasn’t fair asking people to download my book when I’d never done it myself. Just like you, I’ve read waaaay more books with it and borrow eBooks from the library too. I hadn’t thought about borrowing eBooks from the library – thanks for the tip, Evie! Ahhhhhh haaaaa!!!! You are a convert indeed! What a wonderful gift! Another thing you can do is gift a Kindle copy of your book to anyone in the world who has a Kindle – it’s much less $ than mailing it! (You might know that already, but I wanted to write about that feature just in case.) It’s super-easy to do. I still absolutely love a “real” book, but it’s nice to have one’s CAKE 🎂 😜 & eat it too, if that makes sense. Kindles & paperback & hardback books galore = Heaven! Thanks for that tip, Dyane – I didn’t know you could gift books on Kindle. What a saving on postage! Thank you for the cake reference too!! I’m trying to stay off it at the moment but I did slip up yesterday and accidentally had a slice of Turkish delight cheesecake in a very lovely cafe in the beautiful Welsh town of Narberth. Ah well!